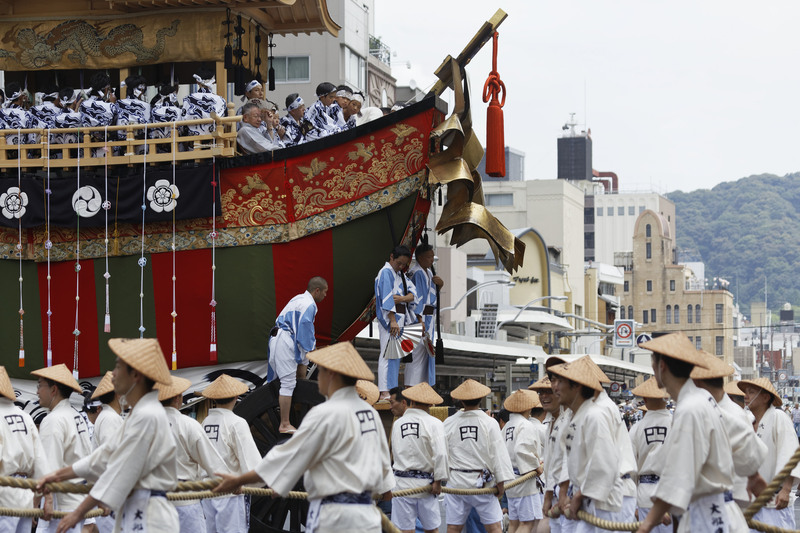 Over the course of a year, over 300,000 traditional matsuri – that’s the Japanese word for festivals – will take place across Japan, ranging from umbrella festivals to cow jumping events. Whilst it seems nothing is safe from being turned into a festival on Japanese soil, this fact serves as a positive to onlookers from the rest of the world, as 300,000 festivals means 300,000 unique opportunities to experience authentic Japanese culture. 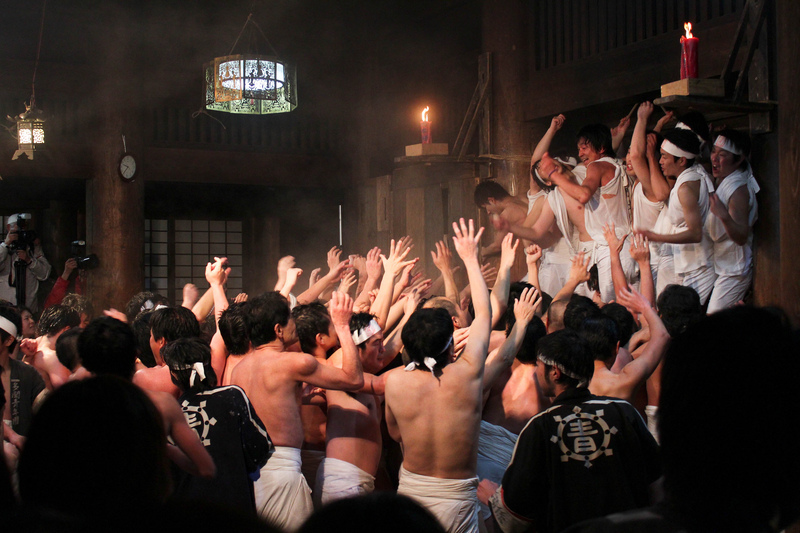 Often put on by the local communities and centred around a shrine or temple of some kind, matsuri are energetic and buzzing events where everyone’s welcome. Whilst many of us will be familiar with the likes of sakura season, there’s a whole host of matsuri options to consider – here are some of our favourites. Gion is perhaps one of the most famous matsuri of all. The festival spans an entire month, turning the streets of Kyoto into a colourful sea, as a collection of 32 floats form a procession that winds through the streets. With everyone in good spirits, the people of Kyoto really go to town with the celebrations, holding street parties throughout the month. Binge on delicious street food and stock up on beer, because this humongous festival is the ultimate combination of both tradition and tomfoolery in this historic city. If you’re allergic to large congregations of people, attend the Ato Matsuri (after matsuri) where a stripped back version of the parade takes place. Perhaps best left for those who are not afraid to bear or see it all, the Naked Festival is one of the quirkier festivals on offer throughout the year. It’s not all loincloths and gaggles of naked men for the sake of it though, as there are of course religious objectives to be achieved. The aim of the festival is to be one of the lucky few to obtain a pair of talismans thrown by the priest into the crowd as they are said to bring good luck. It’s not all fun and games though, as things have been known to get heated down on the ground as the participants grapple in a fully-fledged sumo match in an attempt to win the talismans and will go to great lengths to do so. This one’s in Nara during the month of February – the perfect valentine’s day outing? From naked wrestling to a more traditional Japanese affair, Kanda Matsuri is hailed as one of Japan’s big three. The festival’s roots lie back in the 17th century when the battle of Sekigahara was fought, and it is still honoured to this day. Conducted only in years that end in odd numbers, celebrations last for just two days in May and do a grand job at attracting people from all over the world. An extravagant affair, the parade heads through iconic neighbourhoods such as Marunouchi and Nihombashi delighting onlookers along the way. Hundreds of portable shrines pop up around the parade route and are joined by reams of dancers, musicians and floats. 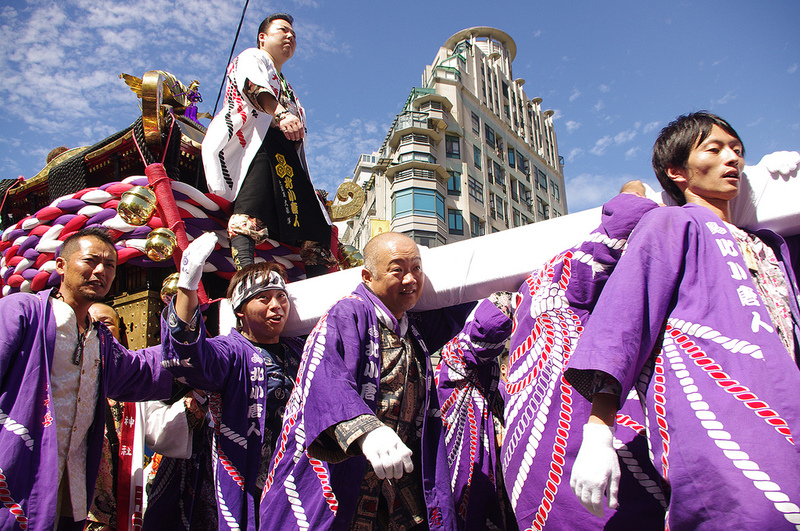 As one of the most popular matsuri throughout the year, booking accommodation at least six months in advance is recommended as the best hotels in Tokyo start to fill up quickly. Journeying back to the weird and wonderful, our final stop sees us arrive at the Konaki Sumo Matsuri, otherwise known as the ‘crying sumo festival’. 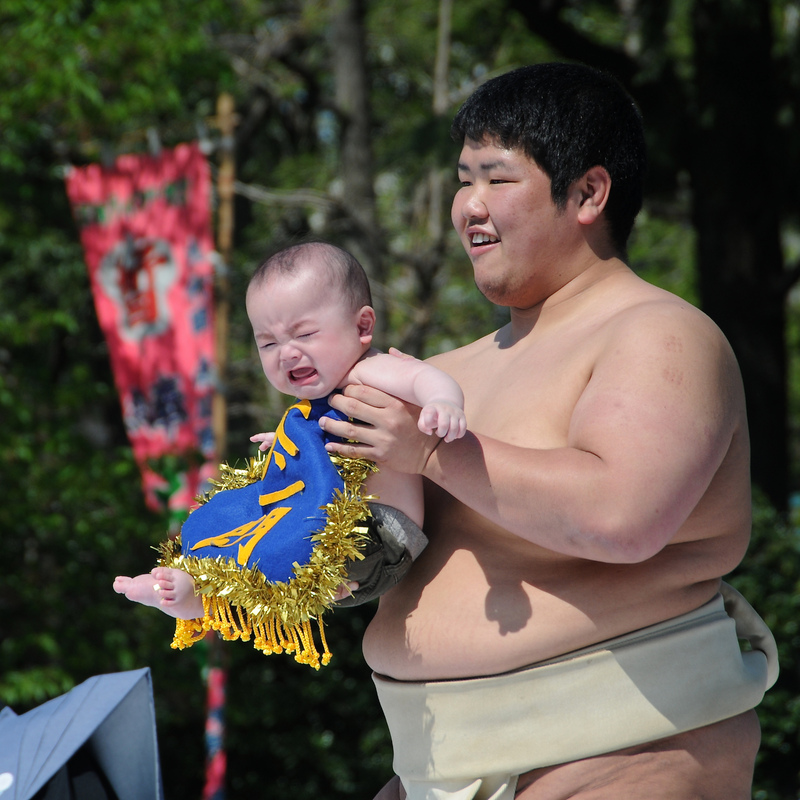 It’s here that sumo wrestlers are given the not-so-taxing task of making babies cry. Standing on stage, fathers compete by holding their child up towards an audience and handful of judges, hoping they can cry the loudest and for the longest. Those babies unable to cry are presented with terrifying masks and cruel words from the judges in hope of them cracking. The baby in the most distress is crowned the winner, rewarding the father for his efforts and ironically, the child is then hailed as the healthiest. Bizarre? Completely. Do I want to go? Yes.